April’s birthstone. The hardest natural substance on Earth. More than a billion years old. 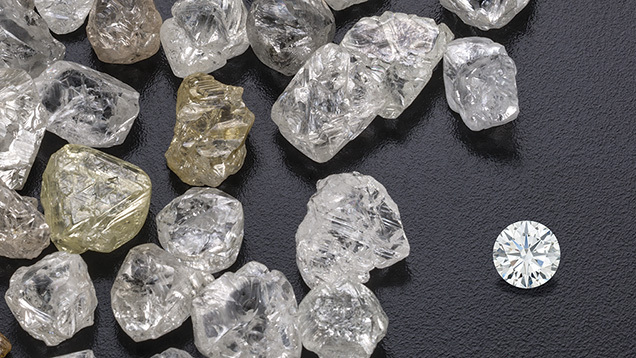 There’s a wealth of history and knowledge surrounding diamonds. This popular gem is brilliant, glamorous, breathtaking and mysterious. And you’ll add intriguing to the list after you read through these fun facts about diamonds. Diamonds can be burned. To burn a diamond, it must be heated to between 1290-1650 degrees Fahrenheit. House fires and jewelers’ torches can sometimes reach that temperature. Diamonds were formed billions of years ago through a combination of tremendous pressure and temperatures of 1652–2372 degrees Fahrenheit at depths between 90 and 120 miles beneath Earth’s surface. Around 30 percent of the diamonds mined worldwide are gem-quality. Prior to the 18th century, most diamonds were found in India. Diamonds were discovered in South America as early as 1725. The discovery occurred in Minas Gerais, Brazil, just as the production in India was dwindling. Diamonds were found in North America in the 1840s, although this was soon eclipsed by the discovery of diamonds in Africa in the late 1860s and early 1870s and the ensuing Great Diamond Rush. In 2014, Russia produced the most diamonds by volume and value. With the opening of the Ekati mine in late 1988, and others in Canada, North America produces almost 10 percent of the total world diamond production by volume. Even though the U.S. produces almost no diamonds for commercial consumption, America buys more than 40 percent of the world’s gem quality diamonds – making it the world’s largest diamond market. Now that you know some fun facts about diamonds and where they come from, take a look at some of the most famous diamonds ever found. The Hope diamond, a Fancy dark grayish blue diamond, fashioned into a cushion brilliant cut, was originally 112 ct. before being cut to its present weight of 45.52 ct. The Hope diamond is said to be cursed. Although one of its owners, Evalyn McLean believed it to be her good luck charm, her life states otherwise; after possession of the gem, her young son died in a car accident, her husband divorced her and died insane, and her daughter committed suicide. The Hope diamond, perhaps the world’s most legendary gem, arrived at its present home at the Smithsonian Institution on Nov. 10, 1958 via the U.S. mail – albeit registered first class! To date the Uncle Sam, discovered in 1924, is the largest diamond ever found in the U.S. It was found in the world’s only diamond mine open to the public. The Crater of Diamonds State Park in Arkansas is a dig-for-fee operation for tourists and rock hounds. Since 1906, more than 70,000 diamonds have been discovered there, including the Uncle Sam diamond, weighing 40.23 ct. 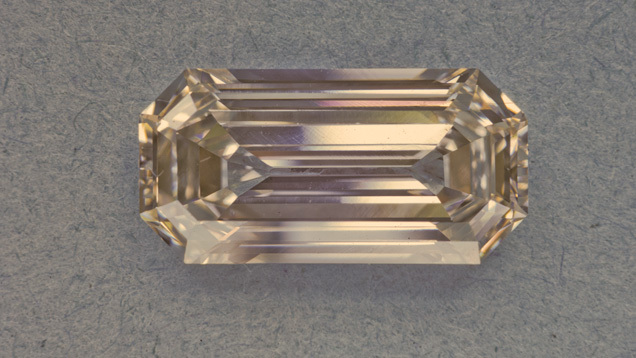 In 2015, a park visitor found an 8.52 ct. diamond at the same park the diamond was discovered. The historic Cullinan diamond, found in South Africa in 1905, weighed an astounding 3,106 ct. It was cut into a total of 105 diamonds of exceptional color and clarity. 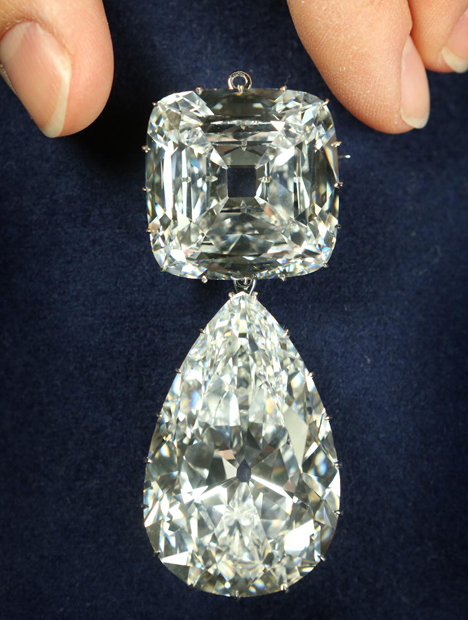 The Great Star of Africa (Cullinan I) weighs 530.20 ct. and the Lesser Star of Africa (Cullinan II) weighs 317.40 ct. These two diamonds are part of the crown jewels of Great Britain. Cullinan III through Cullinan IX, and the remaining 96 diamonds cut from the Cullinan are in private collections. The two largest stones are mounted in the British crown jewels, while eight others are part of Queen Elizabeth II’s private collection. 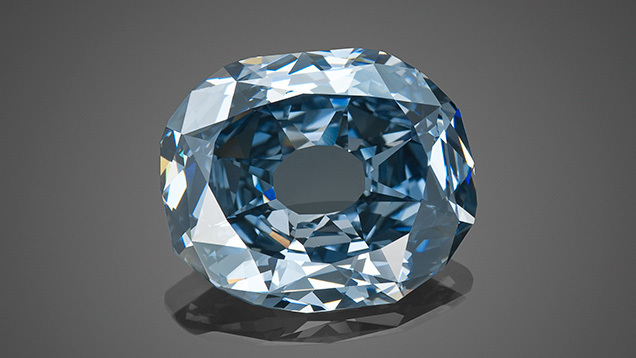 The 31.06 ct. Wittelsbach-Graff is one of the largest historic blue diamonds ever fashioned. Blue diamonds are extremely rare. The presence of boron impurities is often responsible for the color of natural blue diamonds. However, their color can also be caused by radiation exposure or associated with hydrogen. Blue diamonds naturally colored by exposure to radiation are usually described as green-blue, whereas those with color that is associated with hydrogen are described as gray-violet to gray-blue. The diamond belonged to the Bavarian House of Wittelsbach and was displayed in the Treasury of the Munich Residence until it disappeared in 1931. It was secretly sold in 1951, "rediscovered" in 1961, and then sold again in 1964 to an undisclosed private buyer. In December 2008, the Wittelsbach-Graff (then called the Wittelsbach Blue) was sold at Christie’s London to jeweler Laurence Graff for just over $24.3 million. The stone is graded Fancy Deep blue with IF clarity. 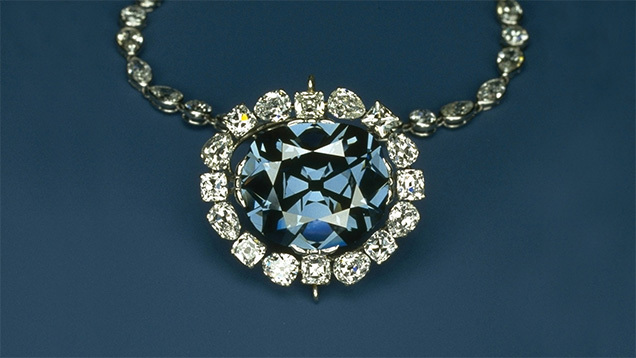 Because the Wittelsbach-Graff Diamond and the Hope diamond have similar color and long-lasting phosphorescence – and both are believed to have been mined in India– there has been widespread speculation that they were cut from the same crystal. But were they? 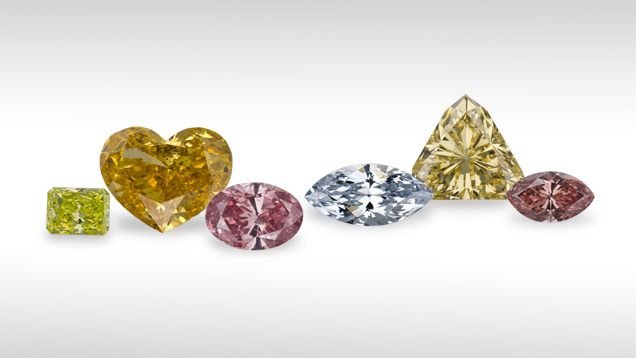 Research published in the Summer 2010 issue of Gems & Gemology indicates that the two diamonds do not share a common parent. Want to learn more? Check out diamond in the GIA Gem Encyclopedia to read more about the history, lore and scientific research surrounding this beloved gemstone. This eLearning program covers essential knowledge about gems, jewelry and the jewelry sales process that will help you translate key features into customer benefits.